Speaking in Dar es Salaam yesterday, the VP challenged social development researchers to find out modalities that can ensure involvement of youth and ordinary citizens in the country’s economic growth. The VP asserted that Tanzania adopted the Decentralization by Devolution (D-by-D policy) in 1998 to enable local governments take up decision-making powers to spearhead economic development, but involvement of ordinary people in various economic activities is still small. “I am expecting researchers to come up with suggestions on what should be done to increase participation of ordinary Tanzanians especially the youth in the economy”, said Suluhu, opening the 24th Annual Research Workshop for the REPOA think tank, bringing together researchers, experts, government officials and development partners to discuss local government roles in economic development. She tasked researchers to come up with strategies that will facilitate tapping of the many economic opportunities scattered across the country. “Tanzania is vast country endowed with natural resources, but not all the citizens are benefiting with resources,” the VP stated. The VP noted that the small participation of ordinary people in economic activities has resulted into low production which affects revenue collection. Suluhu said the government will continue facilitating activities of research institutions including REPOA, using their research findings to improve existing policies. The government is determined to bring economic development to the people through implementation of its five-year development plan from 2016/2017 to 2020/2021 themed; “Nurturing Industrialization for Economic Transformation and Human Development,” she stated. VP Suluhu commended stakeholders and development partners who have been supporting REPOA, including the embassies of Sweden, Denmark, Norway, Ireland, Canada’s International Development Research Centre (IDRC) and the UK Department for International Development (DfID). In a keynote address, Prof Peter Knorringa from the International Institute of Social Studies at Erasmus University of Rotterdam insisted embracing technological innovation and ensuring careful resource expenditure to bring economic development to citizens and the local government level. Prof Knorringa said it is easier to ensure involvement of ordinary people in the economy through technological innovations such as mobile money banking. Most people in rural areas do not have access to electricity, so it is high time the government looks into possibilities of connecting them with solar power, he said. Local governments are catalysts for development, while the nation’s development must go in hand with the economic development of ordinary citizens, he pointed out. REPOA Executive Director, Dr Donald Mmari said this year’s event is meant to discuss how local government authorities can help in economic development. The institutions have been working on various researches in support of the government’s policy making as well as building the capacity of researchers. 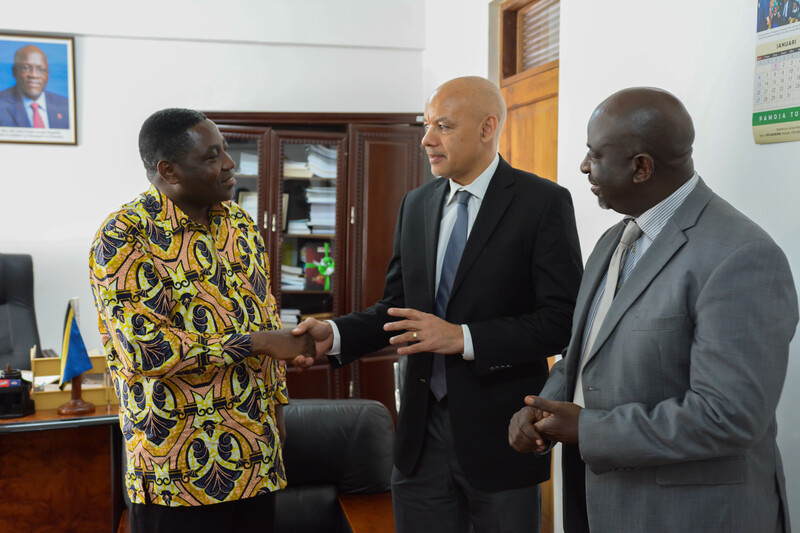 Danish Ambassador Einar Jensen said they are supporting REPOA to conduct researches because good researches lead to the formulation of better policies. Executive Director, CEOs Roundtable of Tanzania, Santina Majengo underscored the need for the country to look into the kind of economic opportunities available in different areas and the possible challenges in tapping its potential. Tourism is a sector where opportunities exist across the country but they are not tapped due to gaps in utilizing them, she added.